DataBind to Dynamics GP using standard Java Database Connectivity. Integrate Java/J2EE applications with Dynamics GP Vendors, Customers, Invoices, Quotes, and more! The Dynamics GP JDBC Driver offers the most natural way to access Dynamics GP data from any Java/J2EE application. Simply use the Dynamics GP Driver to connect and access data just as you would access any traditional database. The drivers is completely self-contained - no additional software installation is required! Access Dynamics GP data through widely available tools. The JDBC interface offers the greatest accessibility to Dynamics GP data from Java based applications and developer technologies. Advanced wire-protocol SSL security for remote connectivity. Faster application deployment and configuration. JDBC is the most widely supported interface for connecting Java-based applications with data. All kinds of BI, Reporting, ETL, Database, and Analytics tools offer the ability to read and write data via JDBC connectivity. The Dynamics GP Driver wraps the complexity of accessing Dynamics GP services in an easy-to-integrate, pure Java JDBC Driver. Applications then access Dynamics GP through the Dynamics GP Driver with simple Transact-SQL. The CData JDBC Driver for Dynamics GP hides the complexity of accessing data and provides additional powerful security features, smart caching, batching, socket management, and more. The Dynamics GP Driver has the same JDBC architecture as the JDBC drivers for MySQL and OLEDB, including Connection, Statement and ResultSet objects. Because of this you can now access Dynamics GP data in an easy, familiar way. You can use the Dynamics GP Driver through popular IDEs (Eclipse, IntelliJ, NetBeans, etc. ), in code through familiar classes, and in data controls available through Swing, Eclipse SWT Widgets, etc. 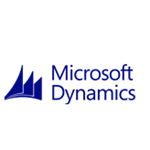 Dynamics GP Driver goes beyond read-only functionality to deliver full support for Create, Read Update, and Delete operations (CRUD). Your end-users can interact with the data presented by the Dynamics GP Driver as easily as interacting with a database table. Pure Java Type 4/5* Drivers: 100% Java architecture based drivers that implement the native protocol without reliance on client-side libraries. * Our drivers fit the definition of Type 5 drivers; however, there are only 4 official JDBC Driver types. All-in-One Deployment: Single JAR that supports JDBC 3.0 and JDBC 4.0 specification and JVM versions 1.5 and above. Certified Compatibility*: Our drivers undergo extensive testing and are certified to be compatible with leading analytics and reporting applications like SAP Crystal Reports, Pentaho, Business Objects, Crystal Reports and many more. Developer Friendly: Design-time support for all major Java IDEs, including Eclipse, IntelliJ, and NetBeans. JDBC Remoting: Our exclusive remoting feature allows hosting the JDBC connection on a server to enable connections from various clients on any platform (Java, .NET, C++, PHP, Python), using any standards-based technology (ODBC, JDBC, etc.). JDBC Remoting is enabled using the popular MySQL wire protocol server. String, Date, Numeric SQL Functions: The driver includes a library of over 50 functions that can manipulate column values into the desired result. Popular examples include Regex, JSON, and XML processing functions. Easily Customizable and Configurable: The data model exposed by our JDBC Drivers can easily be customized to add or remove tables/columns, change data types, etc. without requiring a new build. These customizations are supported at runtime using human-readable schema files that are easy to edit. The CData JDBC drivers include powerful fully-integrated remoting capabilities that makes Microsoft Dynamics GP data accessible from virtually anywhere. The drivers include the optional ability to accept incoming SQL and MySQL client connections and service standard database requests. With the CData JDBC drivers, users can interact with Microsoft Dynamics GP data from any client that supports SQL Server or MySQL: from web & mobile applications, to CRM and CMS systems, BI tools like SQL Server Analysis Services, and even through popular management applications like MySQL Workbench. 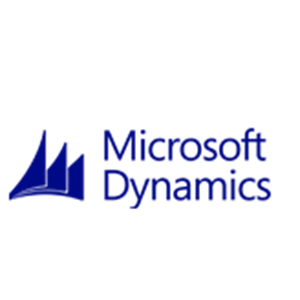 Access Microsoft Dynamics GP data from virtually any application that can access external data. Applications that can access SQL Server or MySQL data can now connect to Microsoft Dynamics GP with this driver. Connect Microsoft Dynamics GP data with popular BI tools like SQL Server Analysis Services. Includes support for the MySQL and SQL (TDS) remote access protocols - industry standards for remote database connectivity. The Dynamics GP Driver offers a standard SQL Server or MySQL interface to data, with read/write (CRUD) support. This powerful remoting features makes it easy to connect your applications with Microsoft Dynamics GP data regardless of your solution architecture. Use one of the standard client libraries for accessing SQL/MySQL from .NET, Java, PHP, Python, Ruby, Objective-C, etc. to start your integration with Dynamics GP. The CData JDBC Driver for Dynamics GP solves these issues by supporting powerful smart caching technology that can greatly improve the performance and dramatically reduce application bottlenecks. More information about JDBC Driver caching and best caching practices is available in the included help files. Working with the new Dynamics GP JDBC Driver is easy. As a 100% pure Java JDBC Driver, the Dynamics GP Driver integrates seamlessly with popular IDEs like Eclipse, IntelliJ and NetBeans, as well as any Java/J2EE application. 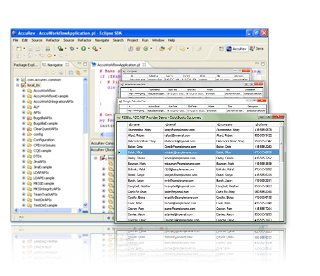 As a JDBC Driver, Dynamics GP JDBC Driver can be used to access and explore Dynamics GP data directly from the Data Source Explorers included in popular java IDEs. It's easy. 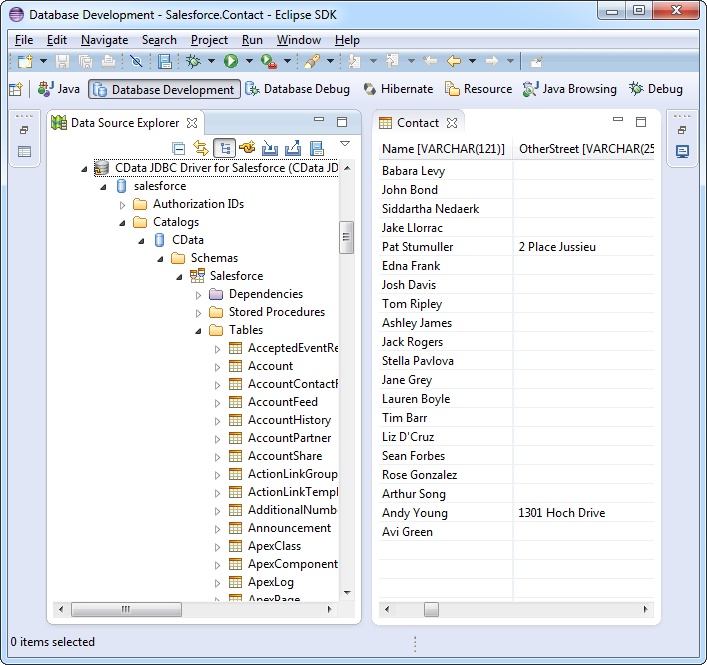 As a standard JDBC Driver, developers can connect the Data Source Explorer to Dynamics GP JDBC Driver, just like connecting to any standard database. 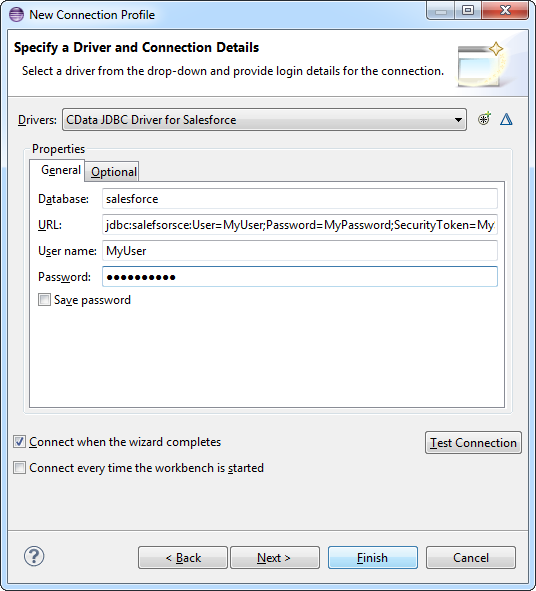 Configure the basic connection properties to access your Dynamics GP account data. Explore real-time data! The Dynamics GP JDBC Driver makes it easy to access live Dynamics GP data directly from any modern Java IDE. After configuring the connection, explore the tables, views, and stored procedures provided by the Dynamics GP JDBC Driver. These constructs return live Dynamics GP data that developers can work with directly from within the IDE.